The Ti Leaf is known by many names with gardeners across the world. It has been called the Good Luck Plant as well as the Palm Lily. It has also been called the Cabbage Palm by some who grow the plant. This woody tropical plant is native to Asia and Papua New Guinea. While not native to Hawaii, it was introduced there by settlers. It is widely used in Hawaii and prized for its unique appearance. Called cordyline fruticosa, it is a member of the asparagus family. As a woody plant, it can grow up to 13 feet tall in some climates. It produces yellow and red flowers that are often softly scented. The leaves can reach up to two feet in length in many of the species. These leaves will appear at the top of the woody stems that form. Red berries appear after the flowers have blossomed and matured. 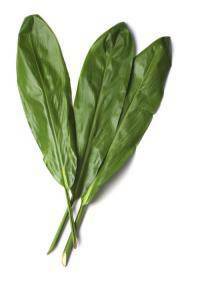 Florists that do sell Ti Leaf will typically sell smaller species, while larger leaves may be rarer. Cities around Santa Clarita, CA, Pasadena, TX, Glendale, AZ, Mesa, AZ, and Murrieta, CA have sold them previously. The tropical blooming Ti leaf may be grown both indoors and outdoors. This creates more options for those wanting color in a home or garden. Some care must be taken in order to encourage plants to thrive. Seeds may be started indoors or directly in the garden bed in rows. A peat mixture should be used, or light peat if the soil is fertile. After germination, wait till plants look sturdy before transplanting. Regular watering should be done in order to keep the soil moist. Soil should not be allowed to dry out nor should it remain soaked. Well drained soil is ideal when planting directly in the garden. Full shade, or mostly shade should be provided in warmer climates. Warm weather and regular watering is ideal for the best blooms. If humidity is low, compost can be added to provide more moisture. Regular fertilizer can help to encourage good roots and blossoms. Overfeeding can lead to scorching or problems with the quality. Very fertile soils may not require feeding as often as poor soil. The leaves of this plant are best known for being wrapped in a lei. The lei is a common sight for any tropical or Hawaiian location. Tropical flowers are mixed in with the leaves for a sturdy decoration. A rope made of the leaves is considered to be a masculine symbol. The addition of flowers can turn it into a harmony of male and female. This is a popular modern interpretation when using these leaves. Another popular meaning is one of protection from harm of any kind. This is especially true when it has been woven into a necklace. The leaves may also be combined with blooms to add strength meanings. Some may also take this plant to symbolize good luck or fortune. It may be used to symbolize luck in love, marriage or in a project. Some may also use it to wish good luck when faced with an illness. There are many ways that this plant can be used for arrangements. It may be used on its own or entwined to create a floral wreath. Individual Ti leaf may also be added to provide more lush greenery.